When someone succeeds, many people want to take credit as the “fathers” of the success. When someone fails, nobody wants to admit accountability. With no responsible father of the failure, the failure is an “orphan”. Success is measured in terms of prestige, wealth or achieving something great which not an easy task for others. When things go in an exactly reverse direction, nobody will claim their contribution in failure or no one will support the guy who failed in his attempts. When someone is successful many people will come to share the credit of success but when someone fails, nobody comes to share the credit for failure. People believe that only worthy people can be of any good and be with a winner is going to make them a winner. They fail to understand that they can learn and move ahead in life from each person around them. 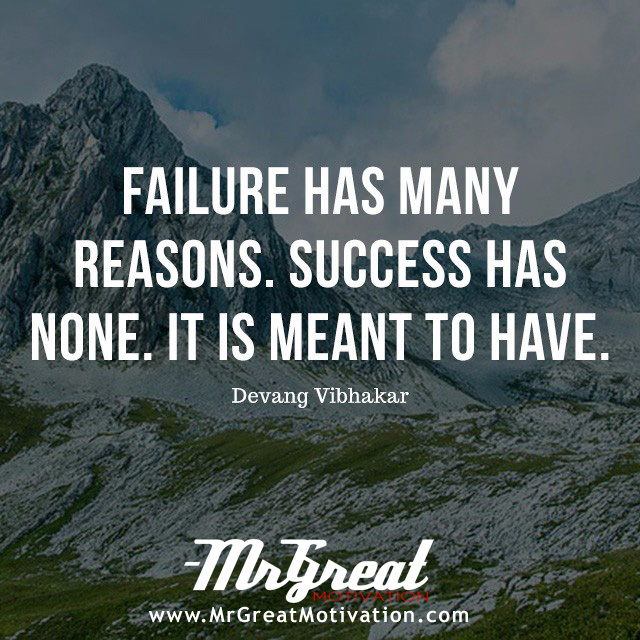 - Devang Vibhakar" by Mr Great Motivations useful. If you think we have made some efforts, then don't forgot to appreciate us by sharing this Quote with your friends and family, And thanks for visiting.